Memory loss has many causes including medications, alcohol and drug use, sleep deprivation, depression and stress, nutritional deficiency, head injury, stroke, dementia, and other factors. While we don't address any particular cause, we offer a wide range of memory aids to help you with the problem.. The unit is designed to use solar power for full operation. Integrated with the most advanced radio controlled time technology with automatic summer time adjustment, minimal attention of the unit is needed to keep the most accurate time. The unit works on receiving the time radio signal. The time signal is generated by the US Atomic Clock which is located in Colorado. (The Atomic Clock is operated by the US Department of Commerce's National Institute of Standards and Technology.) For best reception, avoid placing the unit near television sets, metal surfaces, computers or electric devices as these devices will interfere with the reception of the radio signal. 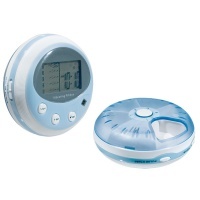 - Atomic clock functlon with automatic daylight saving time / standard time adjustment. - Solar power for full operation. - No external battery needed. 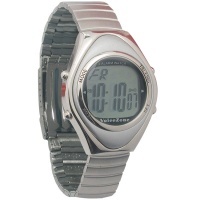 - Jumbo display with maximum digit height 47mm. - Display time with running second / calendar with month, date and day-of-week. - Digital map showing the current time zone selected, for easy recognition. 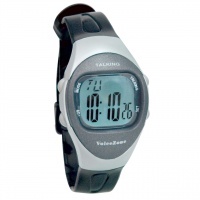 - 12/24HR display format is user selectable. - POWER SAVE mechanism for minimal power consumption in the dark. - Hang on wall or stand on the desktop (with built-in easel stand). 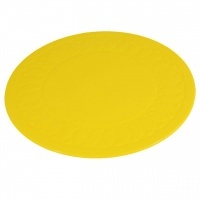 - Clock is 10" in diameter. Please note: The atomic function will not operate in Hawaii or Alaska. This item cannot communicate with the National Institute of Standards and Technology from either Hawaii or Alaska and therefore must always be set manually while in those states. This version of the favorite Old Maid children's card game features bright, colorful illustrations of people along with their occupations in print. The object of the game is to match pairs of cards while avoiding getting caught holding the Old Maid card at the end. 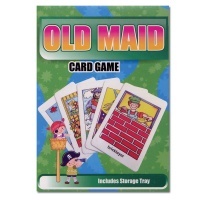 Jumbo sized cards mean that this Old Maid classic card game is perfect for kids and adults alike, or those who have low vision. In addition to the traditional game, cards may be used to play a memory game where all cards are laid out flat on a table and matched in pairs, or as flash cards for further learning. Includes 35 playing cards plus 1 set of instruction cards. Oversized full-color cards measure 4.75 x 3.25 inches. For one or more players, preschool and up. Includes cardboard storage tray. 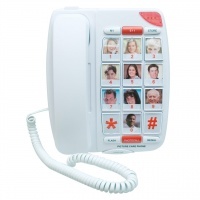 Put a photo of the 10 most frequently called people on the phone, program their numbers in, and next time you want to call them just push the photocall button and the picture. It's that easy to connect to those you love. At the flip of a switch you may also choose to have 10 one-touch keys for picture dialing ONLY. (This feature is great for those who aren't able to dial out telephone numbers.) Plus, all memory/speed dials are backed up for life even if the unit is unplugged from the line (no AC power or batteries needed). In addition this phone has a 911 button, last number redial, ringer off/low/hi and a flash button for call waiting. Please note that call waiting is a service provided by your local telephone company and you should call them for details. Pictures should be approximately 1" x 1-1/4" size. 90- day manufacturer warranty. Overall measurements: 7.5" x 9". Handset measures approx. 8" x 2"
Shipping weight 1 lb, 12.1 oz. 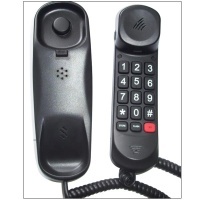 The Future Call FC-1305 Corded Phone provides a sturdy grip and features 2 Picture Memory Keys that are backed up for life using no batteries or A/C adaptor. It offers up to 40db maximum handset volume and is a great wall mounted kitchen phone or desk/night stand phone for the bedroom. This pillbox helps you organize your daily pills and reminds you with audible and/or vibrating alarms up to five times a day. Perfect for those with low vision. Hearing impairment or those who need memory queues, this audible and vibrating pillbox will ensure you never miss your medication. The alarms on this pillbox are so advanced; they even have a snooze button. 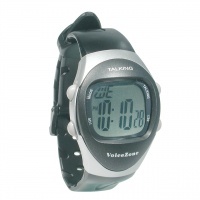 Alarms can only be set on the hour or half hour. The featured Key-lock function on this pillbox prevents accidental trigger. Compact design allows for easy carrying in pocket or purse. 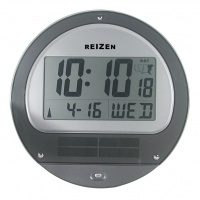 Large LCD display with LED backlight and a pulse meter for pulse rate monitoring. This pillbox requires no reset, so you never forget to take your medicine again. Pillbox is powered by one CR2025 battery (included) and one AAA battery (not included). Size: 3-1/4 dia. 90-day warranty. Introducing the all-new Talking Photo Album with up to 6 minutes of recording time spread across 20 pages that are sure to create long-lasting memories! Each page allows you to record personalized voice recorded messages of up to 18 seconds, allowing you to tell the stories and share the meanings behind each of the photos included (this is a 5x7 talking photo album). This is a really useful talking product to help you stay independent and the Talking Photo Album can be used in a wide variety of ways by those who are visually impaired or have memory loss conditions such as Alzheimer's or Dementia. This unique speaking photo album can be applied to activities for children or adults with special needs or for anyone who just wishes to have audible information readily available as a quick reference. --20 pages in a 'flip style' Album. --Re-record as many times as you wish - reuse time and time again! 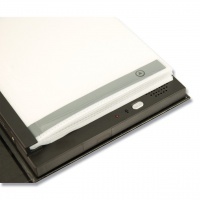 --Each page has an individual PLAY/STOP Button. --Recordings are preserved forever, even when batteries are replaced.